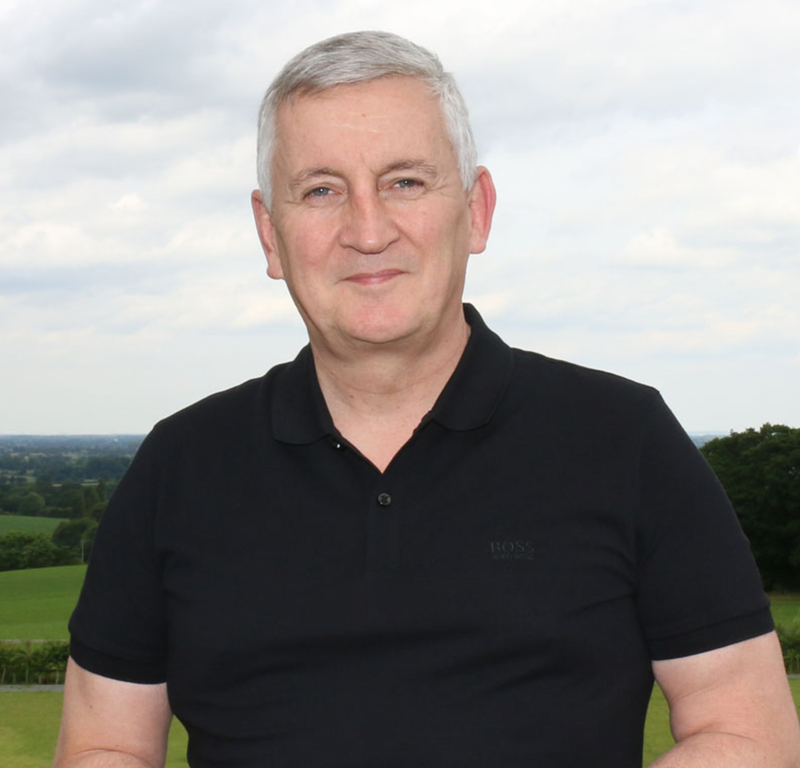 Many leaders fall into the trap of focussing on the deliverables/task before building the relationships and focussing on the people in the team. They create a 'task culture' which may well achieve early success but a culture that isn't sustainable in terms of high performance. 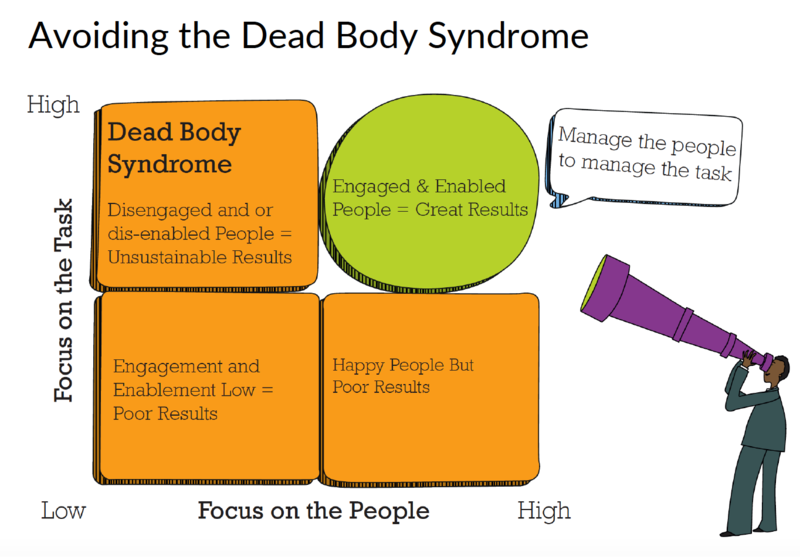 As leaders we need to avoid the 'dead body' syndrome. You do that by ensuring you understand team members and what needs to be in place to create a positive team climate. A good way of understand what needs to be in place is using a well known theory of motivation. Although very old it still adds value into thinking about what you need to do to lead a team. Maslow's hierarchy of needs is a theory proposed by Abraham Maslow in his 1943 paper "A Theory of Human Motivation" in Psychological Review. Maslow subsequently extended the idea to include his observations of humans' innate curiosity. His hierarchy of needs is a motivational theory comprising a five-tier model of human needs, often shown as hierarchical levels within a pyramid. 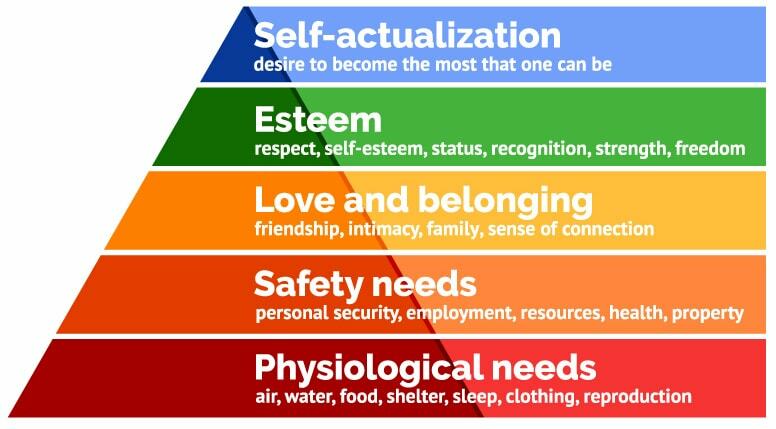 From the bottom of the hierarchy upwards, the needs are: physiological, safety, love and belonging, esteem and self-actualization. He stated that the needs lower down in the hierarchy must be satisfied before individuals can attend to needs higher up hierarchy. When building elite teams we focus on making sure all these elements are met individually and people become the best they can be. We do that by making sure the key elements for team success are in place too. 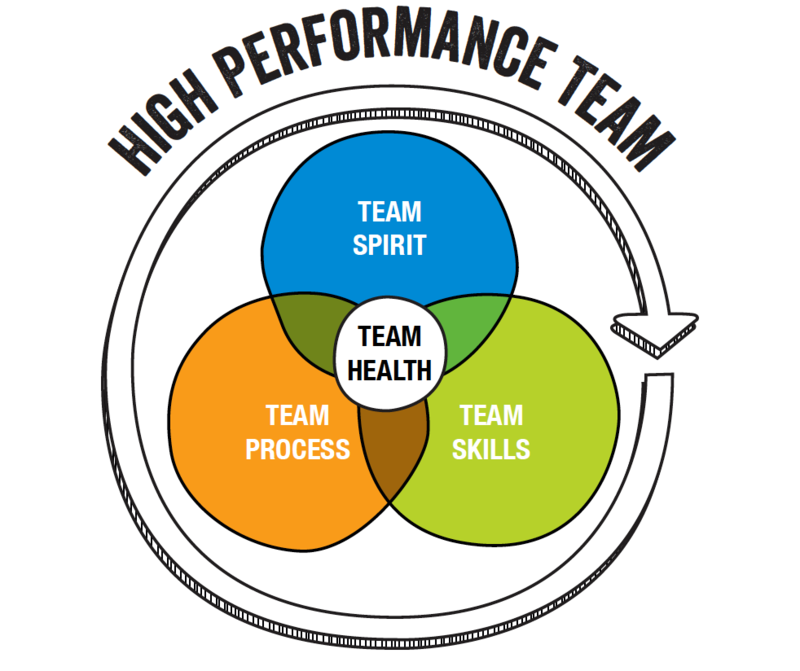 When you combine the individual and teams needs that's when performance takes off. You'll really start driving your team towards success and achieve outstanding results as a leader. We need to create a place where everyone is striving to be the best they can be. Their physiological needs are met, they feel safe, loved, belong to something special, they are proud, confident and have high esteem. A place where the team has a purpose, goals are clear and values aligned. A place where spirit, skills, process and health all combine to ensure the magic happens. We usually create that by using the 6Ps Team Canvas method I've written about extensively. Another way to think about linking Maslow's theory of motivation with the Team Model is to use what we call Team Value Flows framework. 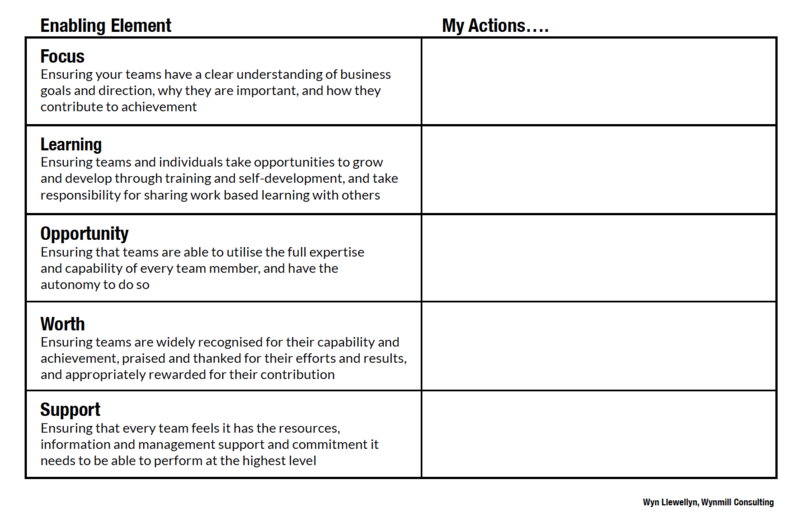 Created by Wyn Llewellyn, it gives you a framework to think through what activities and actions you can take in the five areas to achieve team success. Have a go at using these frameworks and let me know how it goes.